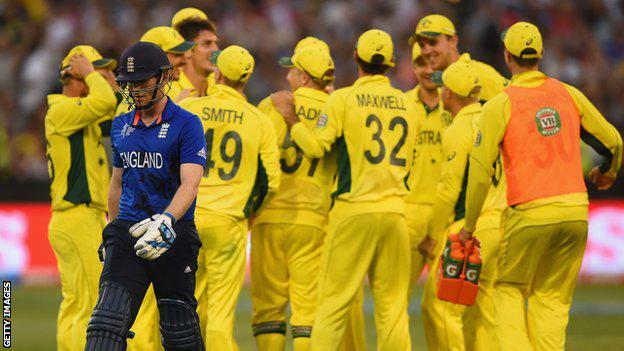 England's World Cup opener ended in misery as they were decimated at the hands of Australia. With a woeful performance bringing their true quality under the microscope, what does the rest of this tournament hold? The Three Lions were upstaged unequivocally by their Aussie rivals in front of more than 90,000 spectators in Melbourne. 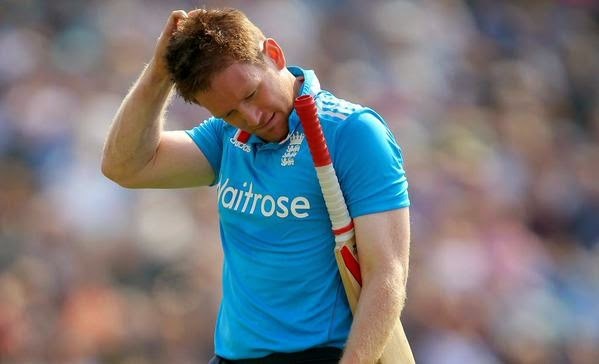 Captain Eoin Morgan—appearing rather bemused as to the spanner in the works that the Three Lions had been dealt with—explained to press after the dust had settled about the errors emerging that simply were not visible before. Steven Finn's hat-trick to conclude the Kangaroos innings implied so much more capability, but while it definitely wasn't too little, it was far too late. By the final over, wickets would be a mere residual for the stat-books—and Steven Finn's own record for the game—as the World Cup hosts marched on to a 342-run margin. James Anderson conceded 67 runs and claimed no wickets in the 10 overs he bowled, Moeen Ali saw 60 runs slip in his wicket-less 9 over spell, and to make matters worse, the Aussies were riding a wave of momentum going into the tournament. Concern will be all around the England camp now, because the fielding time didn't just fail - the batsman did too. James Taylor was a small glimmer of hope, and had the controversial end not occurred like it did, he easily would have marched past a century. Ian Bell wasn't on his best form either, but his knock of 36 from 45 helped to maintain a few touches of dignity. 5 out of the 7 at the top of the order got 10 runs or under, including captain Eoin Morgan who was dismissed for a duck. That cannot all be pinned on the fact that Australia's three Mitchells—Marsh, Johnson and Starc—were on form. Not in this level or format of the game at least. But, did England already beat themselves in the innings prior? When David Warner was bowled from a solid yorker by Stuart Broad at 57-0, things were looking positive. It got better when Watson would soon receive his marching orders. 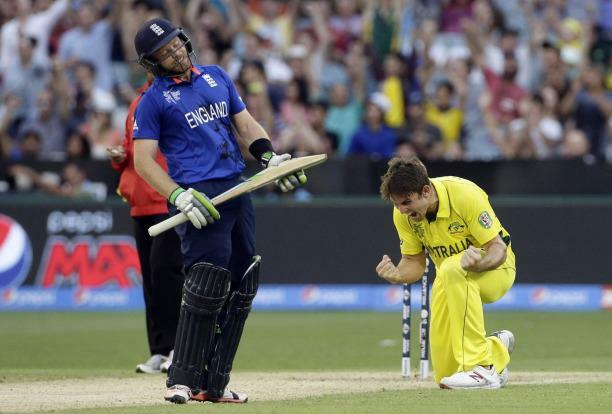 Yet, Australia were still provided a platform to gather momentum and hence uphold a mammoth score. Going into the World Cup, there was a lot of conservation in how England went about with their squad selection. One of those doubts was James Taylor, but his quality performance retorted those critics as he proved to be one of the best players on the pitch. As for the bowling department, there was hardly any scepticism making the rounds of the England cricket discussion. James Anderson, Steven Finn, Stuart Broad, Chris Woakes and Moeen Ali are some of the strongest bowlers in the side, but for them to under-perform doesn't necessarily suggest an off-day, but it could unveil some tactical problems that, if not fixed, may be deterimental to the chances for England in the tournament. For both components to go wrong can put this into a tail-spin. The game at the MCG was far from a must-win, but losing in the manner they did—with little fight—may foreshadow a gloomy future as the World Cup continues in Oceania. England's run-up to the World Cup didn't really show these problems. That's exactly why their profound emergence in their opening World Cup fixture is such a huge issue. Up next, Peter Moores' side meet the other half of the hosts, New Zealand. One man who potentially deserves a return to the side is Ravi Bopara. While his form has clearly oscillated coming into this tournament, him replacing someone in the side will freshen it up. One who definitely doesn't deserve to be dropped is James Taylor, he stepped up to the mark when his teammates didn't. On Friday, England just need to go out there and play like England—not necessarily to win, but making sure they don't get played off the ground this time round. A clash with Scotland follows suit and, with all due respect to the Scots, that's the time for England to hit momentum, knowing that failure to make it out of their pool will ultimately go down as a massive disappointment. England's cricket World Cup is jeopardised unless they reinvent themselves, write Nisar Khan.